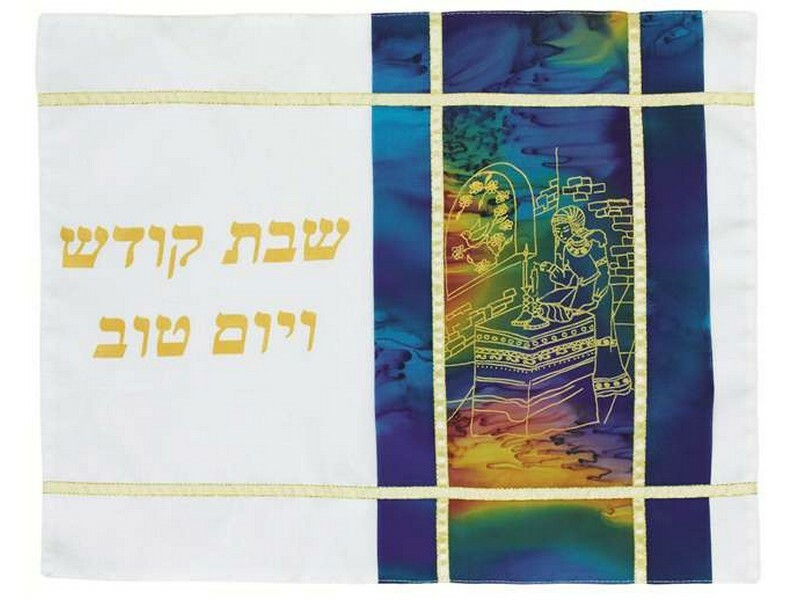 This challah cover portrays the welcoming of Shabbat with the woman lighting the Shabbat candles. The Hebrew words “Shabbat Kodesh V’Yom Tov”, which means “Holy Shabbat and Yom Tov”, are written on the left side of the picture. Set in an artistic and colorful setting, this uniquely designed challah cover will complete the ambience of your Shabbat table.